U.S. sales at the VW brand, due to be published on Tuesday, could show an increase between about 1 and 5 percent in October, Reuters says. BERLIN (Reuters) -- Volkswagen's sales of VW-brand vehicles in the U.S. have grown "slightly" in October, the first full month since the company's emissions scandal broke, two people familiar with the matter said. VW is offering discounts on new models and other incentives in the world's second-largest auto market, which have helped to offset a sales ban on all 2.0-liter, four-cylinder diesel models enacted last month when VW's rigging of emissions tests became public, said the people with knowledge of the sales data. U.S. sales at the VW brand, due to be published on Tuesday, could show an increase between about 1 and 5 percent in October, one of the people said. One person cautioned the "trend figure" could still change as dealers often don't report sales until the last day of the month, which still has two selling days to come. VW's U.S. deliveries rose only 0.6 percent in September to 26,141 cars and light trucks. A spokeswoman for VW of America declined comment. Almost six weeks after it admitted using illegal software to falsify U.S. diesel emissions tests, VW is under pressure to identify those responsible, fix up to 11 million affected vehicles and convince regulators, investors and customers it can be trusted again. The biggest business crisis in its 78-year history has wiped more than a quarter off VW's stock market value, forced out its long-time chief executive and tarnished a business held up for generations as a model of German engineering prowess. Many owners of VW cars in the U.S. have switched from diesel to gasoline-driven models this month with demand for the Passat and Jetta particularly strong, the people said. 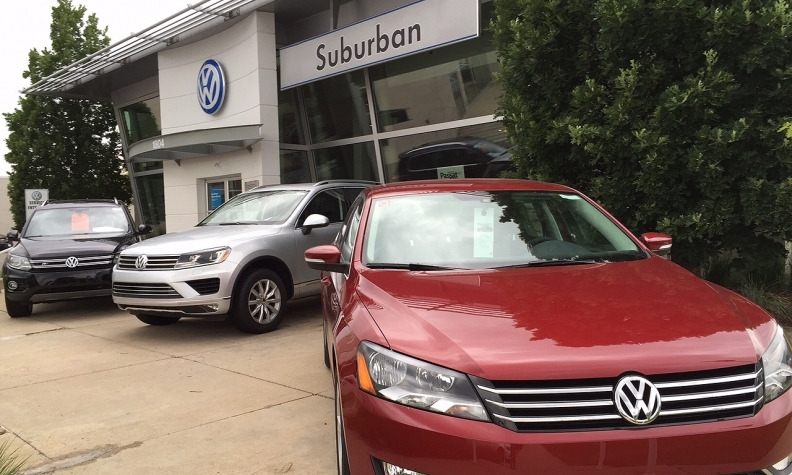 VW brand's diesel models accounted for 22 percent of last year's 366,970 U.S. deliveries.